The Contours Options Elite is the perfect balance of form, flexibility, and function. 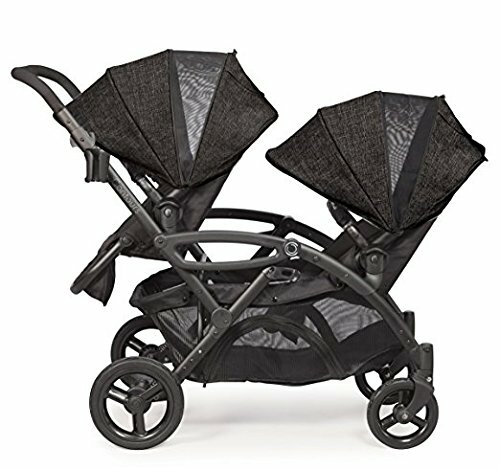 In addition to boasting a super-stylish fashion in the season’s hottest color, our award-winning double stroller has been upgraded based on feedback from the people who matter most: parents like you. From lift-assist seat dismount to dynamic front and rear wheel suspension, you’ll get the same convenience of multiple seating configurations in a lighter-weight aluminum frame. Same 7 seating configurations. 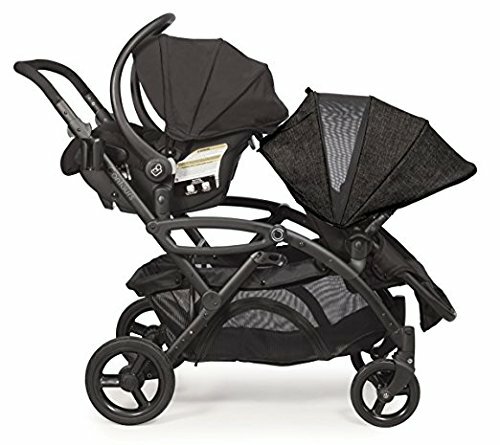 Improvements include: sandal friendly brake pedal, quick disconnect wheels for easy assembly, dynamic front and rear wheel suspension, improved locking parent cupholder, lift-assist grip for seat dismount, thinner curved handle and new sleeker side rail. Stroller frame is now aluminum, reducing the weight to 34 lbs. 40 lbs. 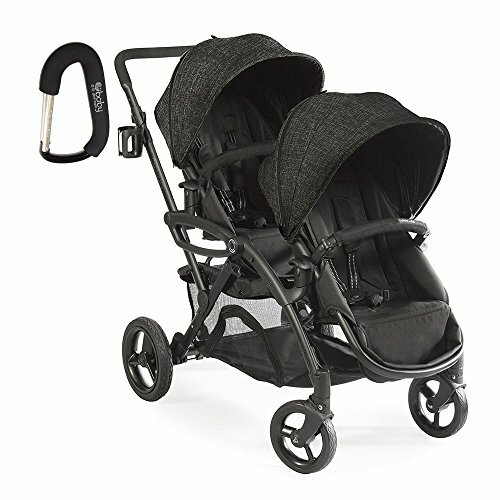 per seat, so stroller can handle up to 80 pounds. Folds easily and can stand with both seats on. 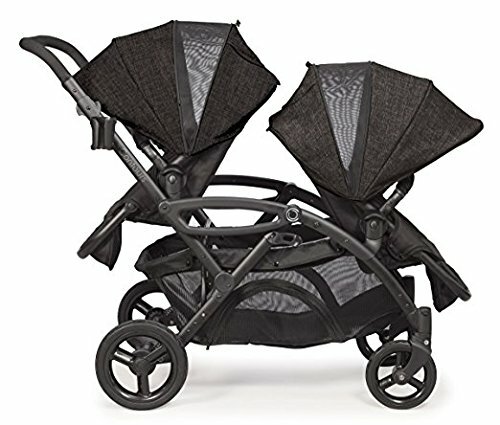 Buy 2017 Contours Option Elite Tandem Double Stroller with FREE BABY GEAR XPO Stroller Hook (Carbon) at Discounted Prices ✓ FREE DELIVERY possible on eligible purchases. The Contours Options Elite is the perfect balance of form, flexibility, and function. 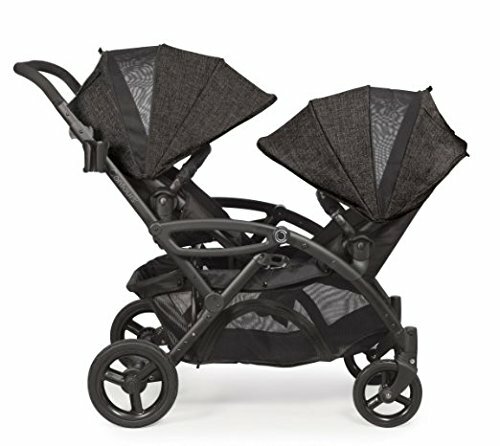 In addition to boasting a super-stylish fashion in the season's hottest color, our award-winning double stroller has been upgraded based on feedback from the people who matter most: parents like you. From lift-assist seat dismount to dynamic front and rear wheel suspension, you'll get the same convenience of multiple seating configurations in a lighter-weight aluminum frame. Same 7 seating configurations. Improvements include: sandal friendly brake pedal, quick disconnect wheels for easy assembly, dynamic front and rear wheel suspension, improved locking parent cupholder, lift-assist grip for seat dismount, thinner curved handle and new sleeker side rail. 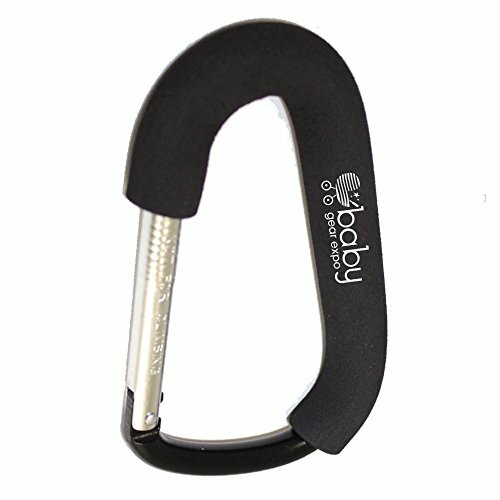 Stroller frame is now aluminum, reducing the weight to 34 lbs. 40 lbs. 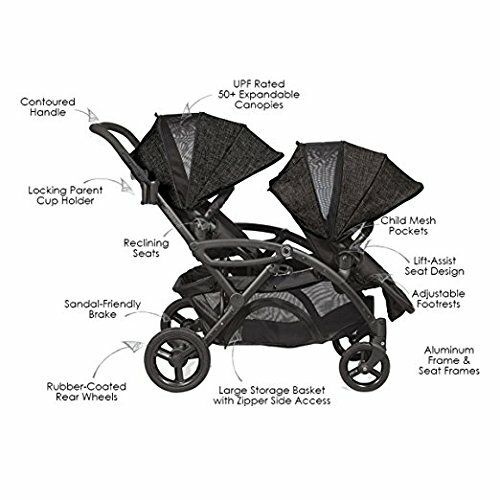 per seat, so stroller can handle up to 80 pounds. Folds easily and can stand with both seats on.